The dealmaking will continue into the 2019-20 television season. 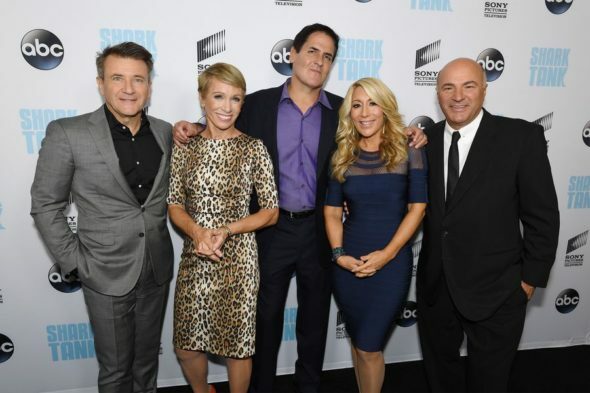 ABC has announced that they’ve renewed their Shark Tank TV show for an 11th season. The 10th season of Shark Tank is averaging a 0.79 rating in the 18-49 demographic and 3.59 million viewers. Compared to nine, that’s down by 21% in the demo and down by 12% in viewership. It’s unclear how many episodes will air this season (13 have aired so far). The past two seasons have had 24 episodes each while other seasons have had as many as 29 installments. Today, the alphabet network also renewed The Good Doctor for a third season and A Million Little Things for season two. At this point, it looks like all three will see their new seasons launch in Fall 2019. What do you think? Do you like the Shark Tank TV show on ABC? Are you watching the current 10th anniversary season? How long should this series continue to run? I watch every episode and love all the sharks. Yes, even Mr. Wonderful. My family and I never miss it, we really like it and hope it goes on for a long time.